DOWNLOAD this FREE E-book by CLICKING on the image. The large majority of field service inspectors learn on-the-job. 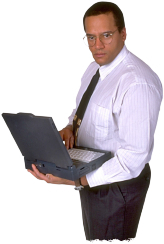 All inspection forms are provided to you by the tasking firm - so there is nothing you have to create. Most firms provide a training package with guidance, practices and procedures for completing inspection tasks. A connection to the Internet and a digital camera are about all you need to perform the majority of field service inspections. The large majority of inspections have no Errors and Omissions (E&O) insurance requirements. SOFI is a Networking Organization! SOFI helps firms find representatives and representatives find firms. SOFI creates WIN-WIN business relationships. SOFI is the largest and the oldest networking organization in the field services industry. SOFI recently celebrated its 17th year of business in November 2009. Founders Richard and Dorann Law have over 20 years of inspection and property preservation field services experience. Field service work is performed in support of mortgage bankers, finance companies, commercial bankers, field service firms, state and federal housing agencies, VISA/MasterCard, Discover/American Express merchant credit card account providers, mystery shopper organizations and other similar field service firms or agencies. Field inspection tasks include residential mortgage, insurance and commercial property inspections. SOFI has identified over 250 types of field service inspections. The firms you work for provide all the necessary report forms and help you with every step to completing an inspection. Some of the firms use interactive web sites for completing report forms. These web sites are backed with help pages and inspection coordinators who can answer your questions by telephone or e-mail. SOFI can also answer many of your questions on inspections and property preservation. Only about 1% of all field service firms post help wanted ads on the Internet. 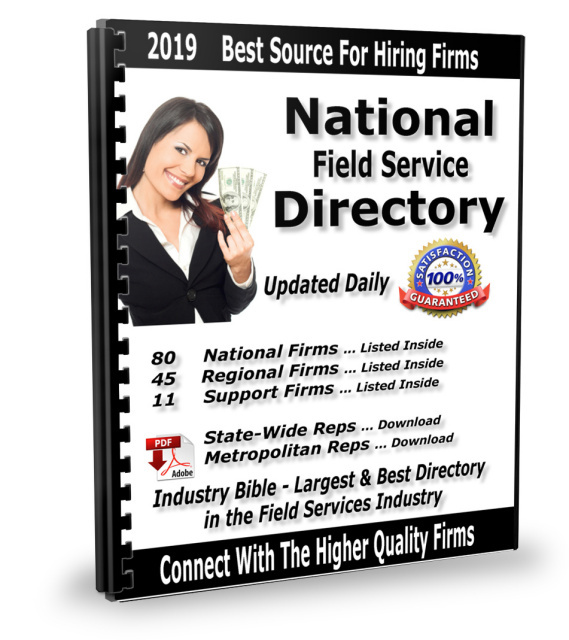 If you're new to the business and you want to grow your business fast - you want to e-mail or call the many national and regional firms listed in the National Field Service Directory. SOFI publishes the largest and most complete National Field Service Directory listing both (1) national and regional firms that hire field representatives and (2) the field representatives that perform the work. The Directory is the largest selling directory in the industry with tens of thousands of directories sold to firms and representatives. You are not going to grow your business very fast by waiting for a firm to post an ad looking for someone in your area. Ads should not be your only source for leads. Direct marketing is the most effective marketing. Don't wait for an apple to fall from a tree. SOFI can tell you about all of the apple trees and you can shake them! 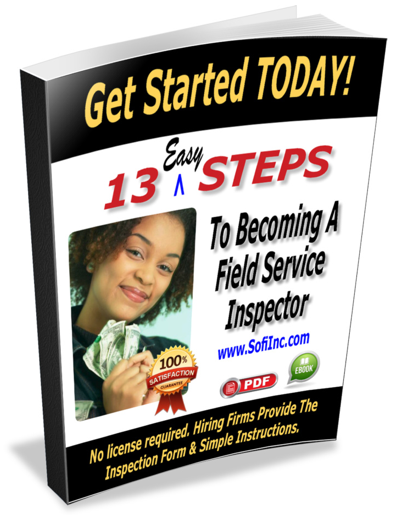 The National Field Service Directory is your FAST START to growing your busniess. Check out our FAST START packages for getting started in field inspections and property preservation.